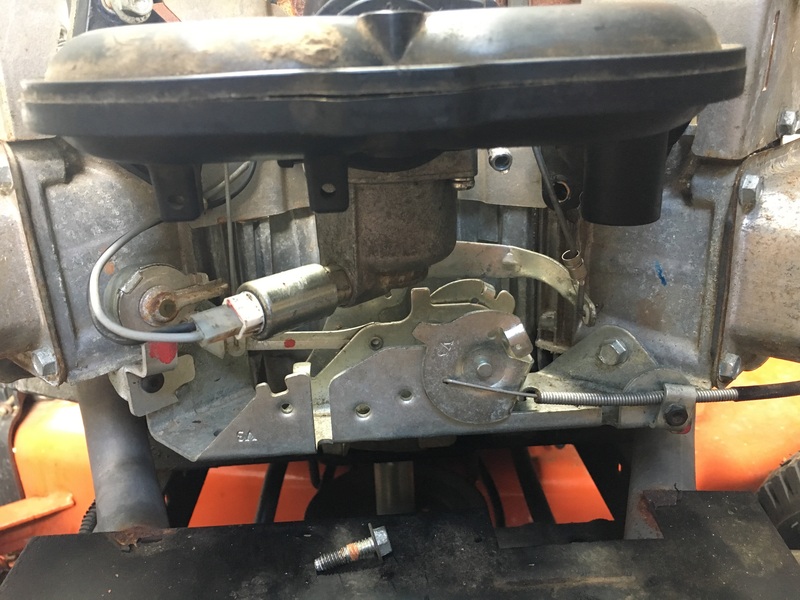 I’ve got a Husqvarna yth22v46 with a Briggs 22hp that I picked up for a friend from a shop that was taking forever to fix it. Unfortunately everything was still apart when I got it. Can anyone take a couple pics of their carb to show me how the linkage goes on the carburetor? I don’t think I have the little springs right. Thanks in advance! Last edited by Carolynski; 07-04-2018 at 11:44 AM. 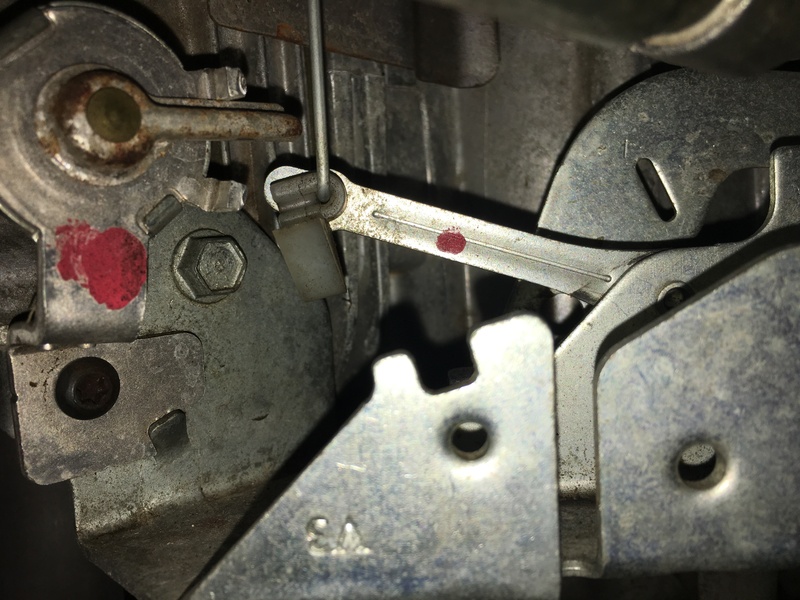 well the plastic thingy on the choke rod with the red dot gets turned 90 degrees clockwise and the rod snaps into that slot in the plastic holder. 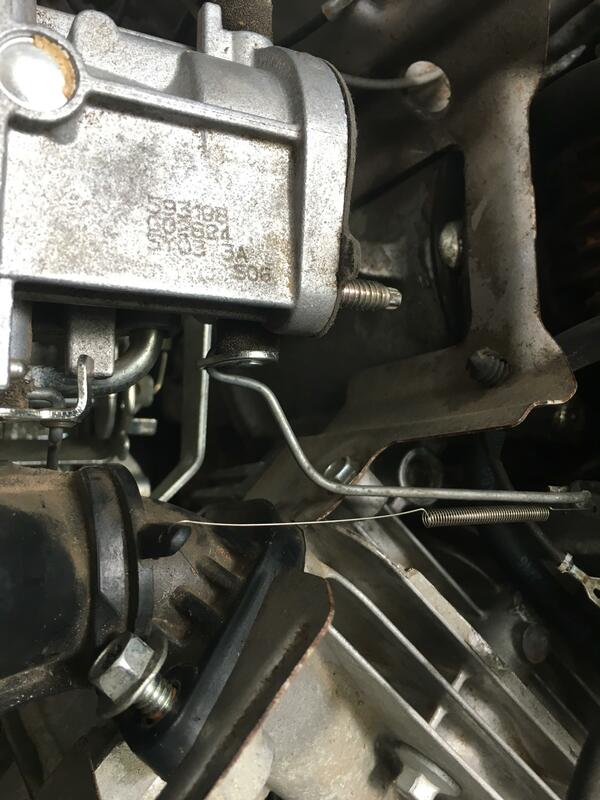 it just goes straight up and hooks onto the carb throttle butterfly shaft but it needs to be connected with the carb off the manifold or its near impossible to get it on, then with carbs mounted to manifolds, the hook part just hooks onto the spot its hooked to in your picture and then you can align and bolt the manifolds onto the engine. Last edited by keakar; 07-04-2018 at 12:36 PM. Is it still getting gas? Check the plugs for wetness and try to get it to fire with carb cleaner spray. Shut the PTO off! Been there, done that too many times Depending on where you are, it could be a bit of vapor lock too. Try loosening the gas cap. It's been in 90's and humid here for a few days with not a breath of wind. Taking a nice cool tractor out of the garage and running around in this heat can develop some funky condensation. Last edited by jtclays; 07-04-2018 at 03:30 PM. Thanks y’all everything looks good I put a new fuel filter and fuel pump works solenoid is good. Has all clean gas put new plugs in it. Still wouldn’t start so I took apart the carb again and it ran for a few minutes then wouldnt start again. The original problem was the carb was stuck and flooded into the engine and mix gas with the oil and smoked. A shop had it and told my friend the motor was shot and needed a new mower but it’s only two years old and they wanted $450 just to put it back together if you can believe that. It was just the fuel in the oil that made it smoke and that’s gone now that I’ve changed the oil and filter. 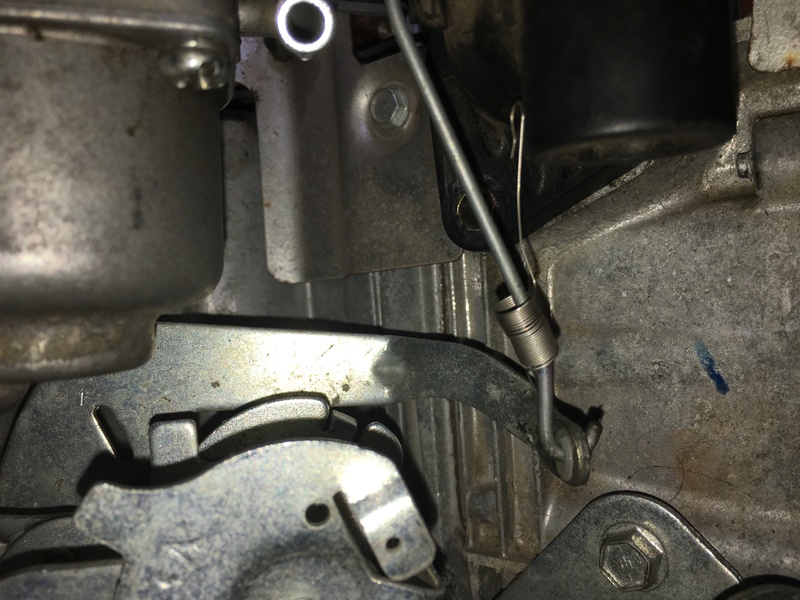 any way most likely just has trash inside the passages of that carb that flaked off the sides when it started running and clogged something up. i bet if you gave it a goods 24 hr soak in some chem dip carb cleaner can it would run perfect after that.